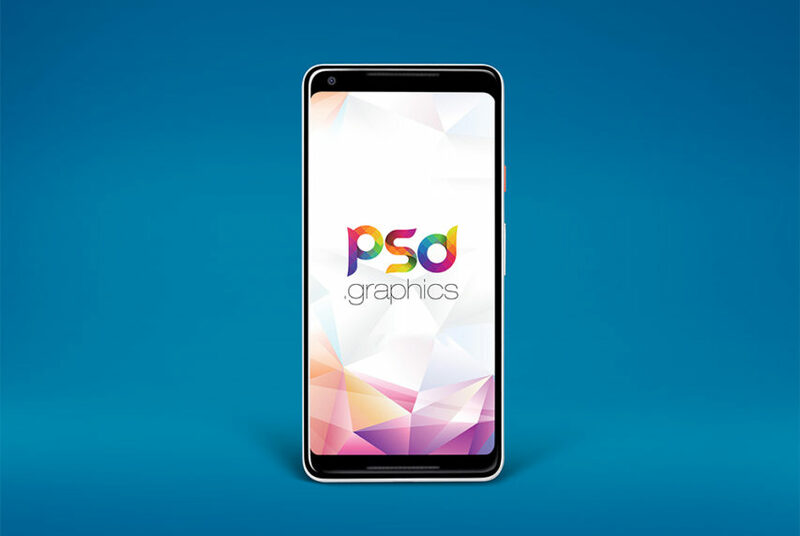 Download Pixel 2 XL Mockup PSD. Google is back with the Pixel 2 and Pixel 2 XL phones, perhaps two of the most-anticipated phones of the year. Google also reduce the bezels and introduced a more traditional 18:9 aspect ratio There’s a noticeable amount of bezel on the top and bottom of the Pixel 2, whereas the Pixel 2 XL has very slim bezels around its screen. Here we present you Free Pixel 2 XL Mockup PSD that you can download for free and use it for showcasing your apps and ui design in a stunning new design. Artwork can be added to the Pixel 2 XL Screen via the included Smart Object without worrying about the prospective and placement.You can also change the background color easily according to your choice. All in all this Google Pixel 2 XL Mockup has a modern and elegant look. This Free PSD resource comes with Easy & customizable PSD file arranged in groups and named perfectly which can save the time to create your own mockup. You can modify this Pixel 2 XL Mockup PSD as you wish. However you are free to use this Free PSD in your personal and commercial projects. If you are using this file please give some credits to psd.graphics Hope you like it. Enjoy!